Reduces fatigue and inflammation while boosting your immune system. 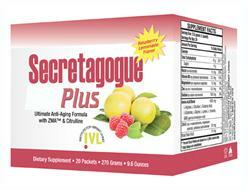 Help fight off the signs of aging with this fizzy drink mix available in Orange / Raspberry Lemonade flavors. 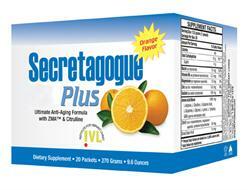 Secretagogue's proprietary blend of amino acids and precursor nutrients supports immune functions, increase muscle mass while decreasing body fat and blood supply to the ventricles.